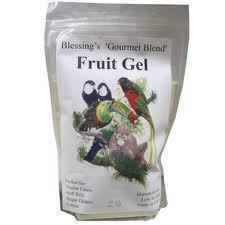 BlessingGel - Blessing's "Gourmet Blend" Fruit Gel - 2 lb. Blessing's Fruit Gel Gourmet Blend provides a healthy treat of human grade ingredients blended to maintain the best health for your pet. It is low in iron. Our fruit gel is based on the latest research and used by zoo keepers, vets, and many top bird breeders around the world. It is a great source of fruit when out of season. ----Mix with boiling water and refrigerate until firm. 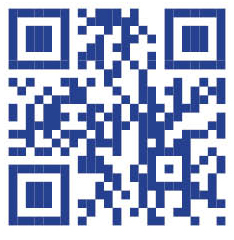 In order to maintain the freshness of our bulk foods, upon arrival, please transfer food to a sealed, rigid container. It is recommended to store at room temperature what your bird(s) will consume in approximately 10-14 days. The remainder should be stored in the refridgerator. We do not recommend freezing as a method of storage due to the formation of ice crystals, which will melt and cause mold. Ingredients: Brown Rice Flour, Millet Flour, Red Whole Wheat Flour, Fructose, Sucrose, Dextrose, Soy Protein Isolate, Bee Pollen, Spirulina, Calcium, Xanthan Gum, Apple, Papaya, Banana, Mango, Grapes, Whole Blueberries, Carrot, Spearmint, Bell Pepper, Alfalfa, Coconut, Blueberry Powder, Gelatine, Flower Petals, Eucalyptus, Nutritional yeast, Milk Thistle, Wheat Grass, Bentonite Clay Powder, Proprietary Blend of Necessary Vitamins, Trace Minerals, and Essential Amino Acids for Color and maximum reproduction. 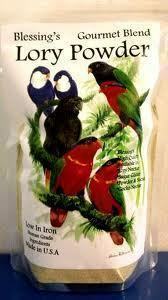 Blessing's Lory Powder "Gourmet Blend" - 10 lbs. Blessing's "Gourmet Blend" Fruit Gel - 2 lb. 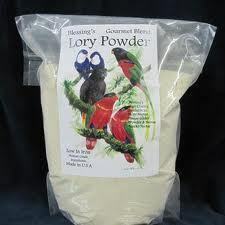 Blessing's Lory Powder "Gourmet Blend" - 5 lbs.